By the very nature of the LSM pump, food is gently transferred without centrifugation or mixing effect – which makes them particularly suitable for food products. 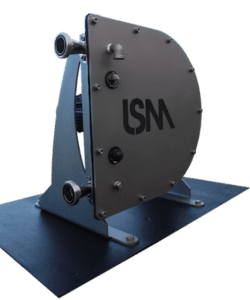 The LSM peristaltic pumps for food processing are also particularly simple to clean as there are no moving mechanical parts that comes in contact with the fluid. Very simple to clean and to maintain, the peristaltic pumps for food processing are self priming, are not hypersensitive to dry runs and allow a simple fluid change process. Because of all of their benefits, peristaltic pumps for food processing are unique and perfectly suited for certain types of viscous fluids. You will find that LSM Peristaltic Pumps are used in numerous food processing industries. The SPS technical sales team is available to analyze your project. SPS develops solutions with LSM pumps for a gentle pumping of food media. 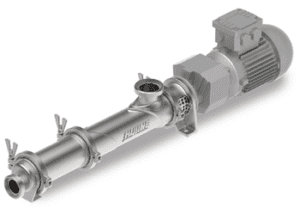 Are you looking for a hygienic progressive cavity pumps? Wangen Pumps offers a wide range of hygienic pumps for food and beverages. Discover the Wangen Hygienic Progressive Cavity Pumps for food and beverages.